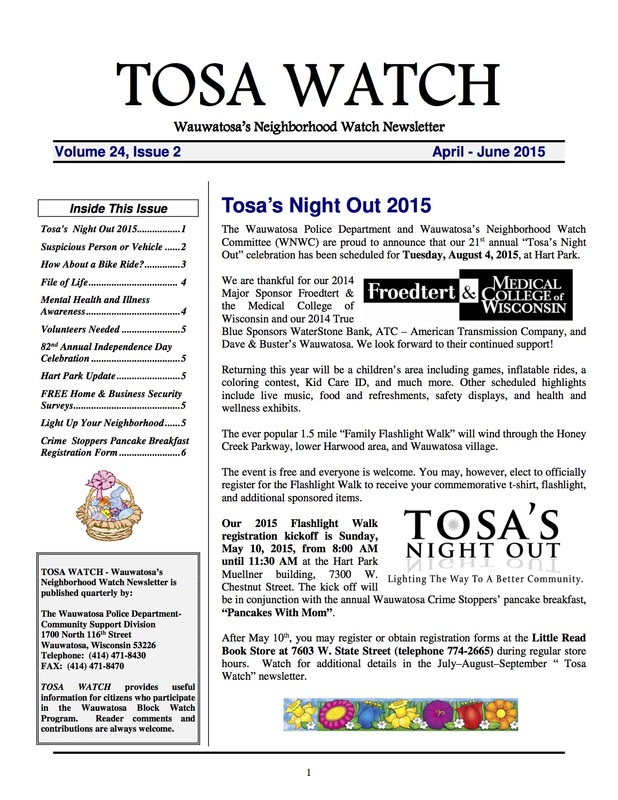 Here is the latest Tosa Watch for July-September 2015. Registration form for Tosa’s Night Out is included. The Wauwatosa Police Department is hoping to work with neighborhood associations more closely to help keep Tosa a safe place to live, work and play. 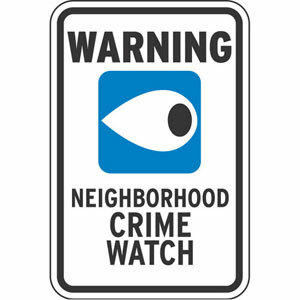 Block Watch Captains are assigned to each block in Pabst Park, but not all Block Captains are members of the PPNA. We would love to foster more communication with the PPNA, WPD and Block Watch Captains by having a Safety Coordinator to help get everyone on the same page. The NAC is hosting a Summer Meeting at the TOSA Pool on July 23, 2015 at 6:30pm. The focus is on public safety and the WFD and WPD will be presenting information at this meeting. While anyone is welcome to attend, I would really love to have a volunteer interested in being our PPNA Safety Coordinator attend with me. If you have any questions or an interest in filling the Safety Coordinator role, please contact Tammy Crouch at pabstpark@gmail.com.